Welcome our final reveal for Child’s Play Challenge 🙁 I am so sad to see this challenge blog closing as I’ve loved my time with them, and how it’s challenged me to think outside the box. I hope you’ll come over and give us a great send off by having the most entries we’ve ever had! We love seeing your support of our creations and efforts. Our theme this go round is the classic Lite Bright. I had one as a girl, but didn’t have any photos of me playing with it. 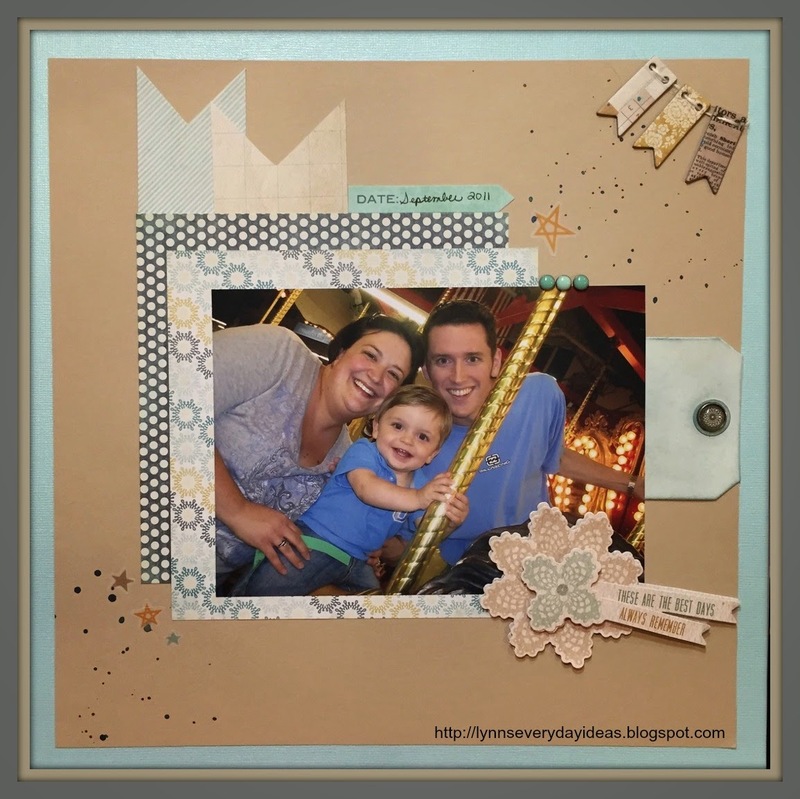 I choose to use photos of our son’s first carousel ride with twinkling lights in the background. These papers, and embellishments, are from the older My Minds Eye collection The Sweetest Things – Bluebell. All the papers on this page are from the 6×6 paper pad….love how the smaller patterns let you layer without being overwhelming. The tag was originally ivory, but with some antique linen and faded jeans Tim Holtz distress ink I was able to create a hue close to what was in the papers. Some vellum star stickers and ink drops and I had a perfectly simple, but stunning page. y'all look like you're having the time of your life! Sharing to Twitter/Pinterest. I’m stopping by to give you some Bloggie Love! Thanks for your dedication to commenting on and sharing my work.